NO. 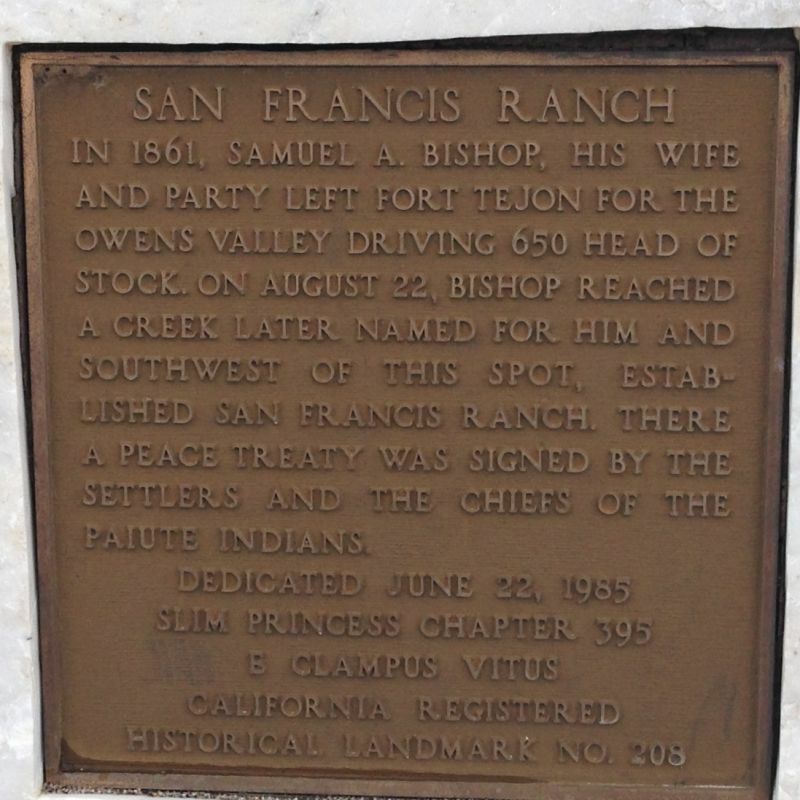 208 SAN FRANCIS RANCH - In 1861, Samuel A. Bishop, his wife, and party left Fort Tejón for the Owens Valley driving 650 head of stock. On August 22, Bishop reached a creek later named for him and southwest of this spot. 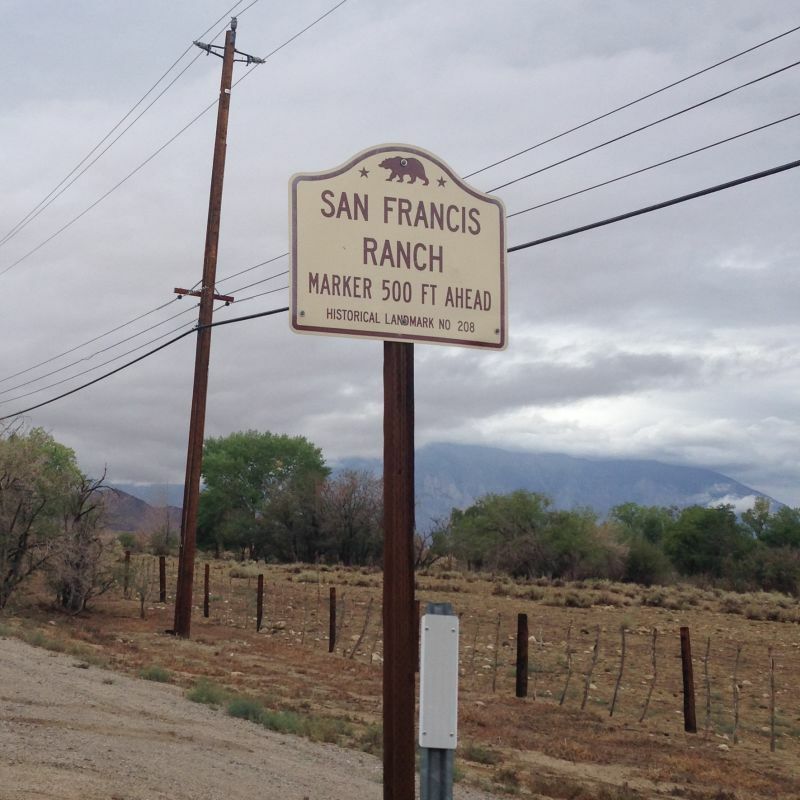 San Francis Ranch was established there. 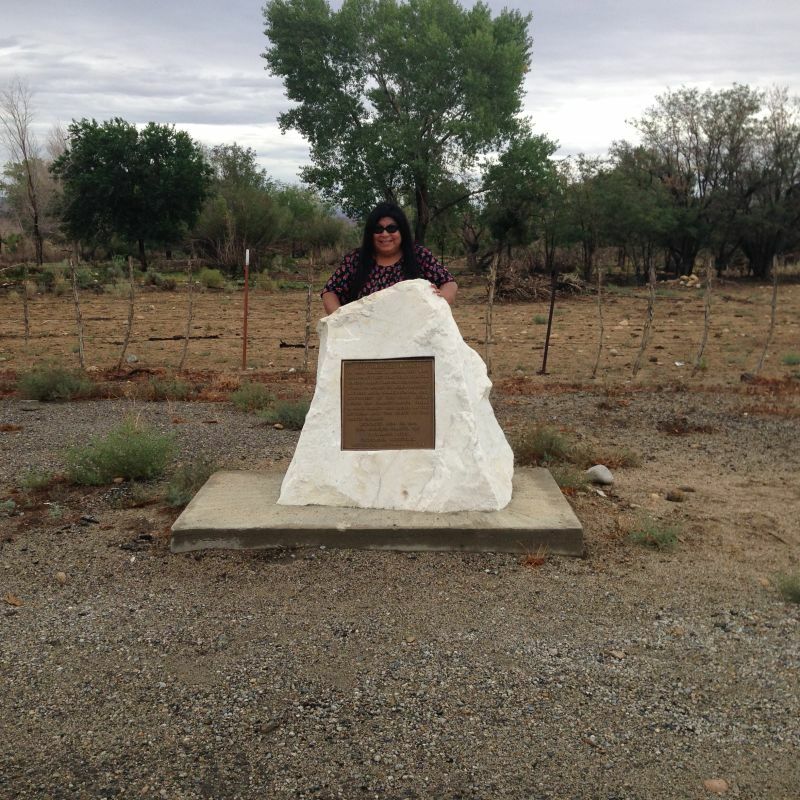 At the site a peace treaty was signed by the settlers and the chiefs of the Paiute Indians.